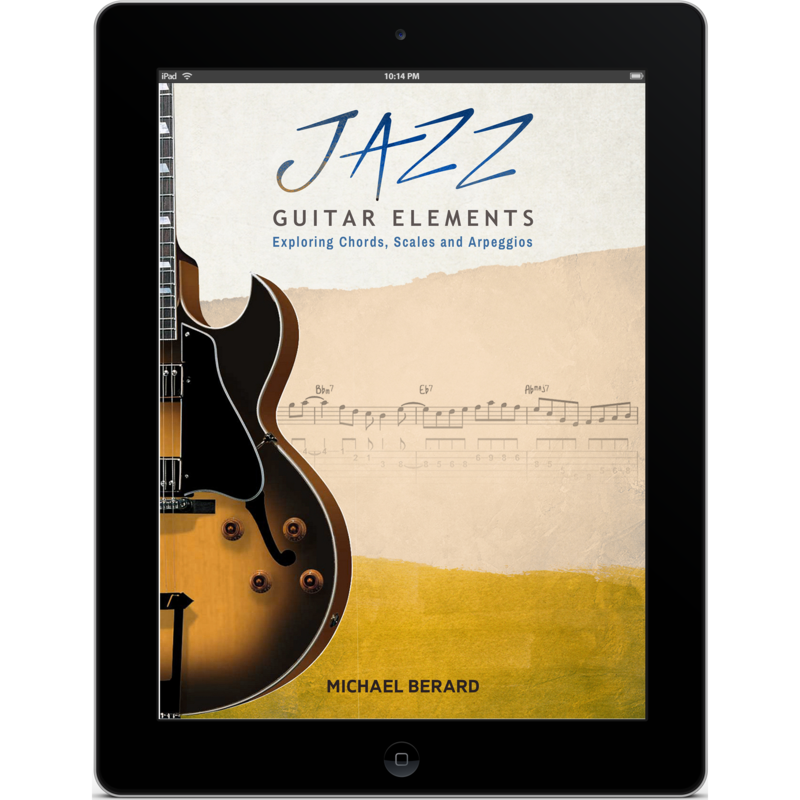 Available now, a new version of Jazz Guitar Elements by Michael Berard designed exclusively for iPad and Mac. 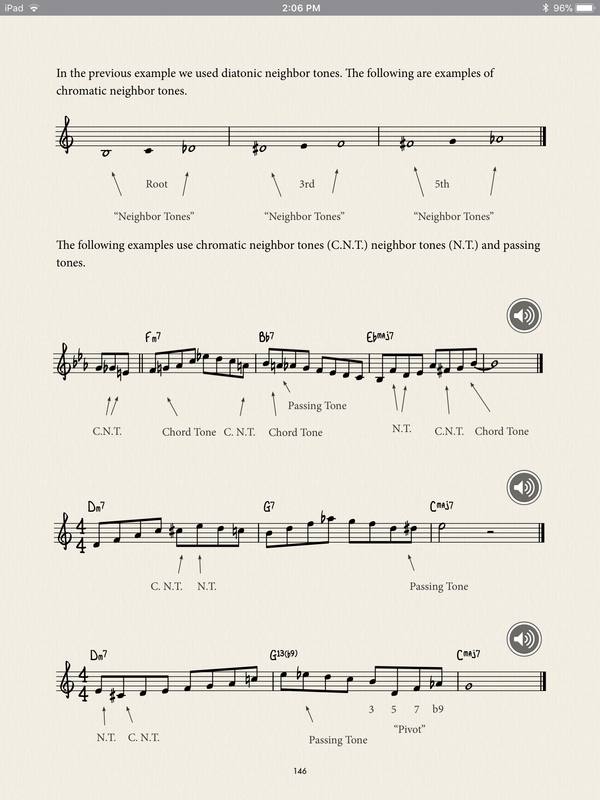 "Made for iBooks," this new version brings a whole new multimedia learning experience to jazz guitar. The book's 161 pages are filled with great explanations, examples and diagrams. 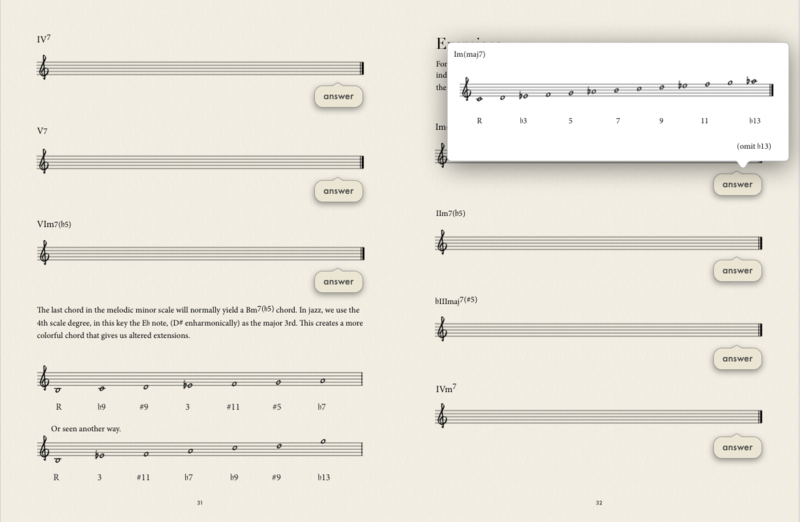 Audio examples and answers are embedded into the document. Looks great and fun to use! 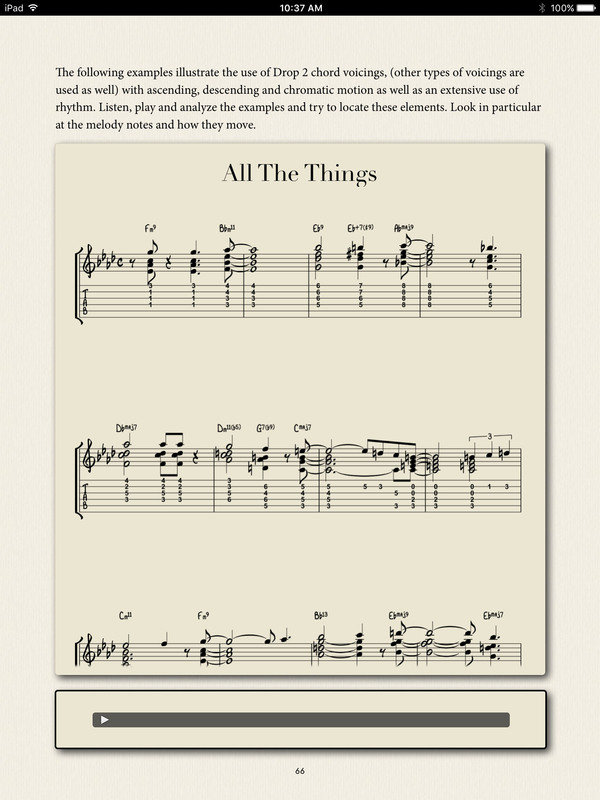 Buy it on iBooks and you'll have Jazz Guitar Elements everywhere your iPad or Mac goes. *Note, the iBooks version is for iPad, Mac and iPhone only. The iBooks version now includes more audio tracks. (58 audio tracks) We've also added drums to all previous tracks. New material and many updates from previous versions. Audio examples featuring guitar, piano, acoustic bass and drums. Embedded answers on each exercise page. Tap or click to display pop-ups revealing answers instantly. 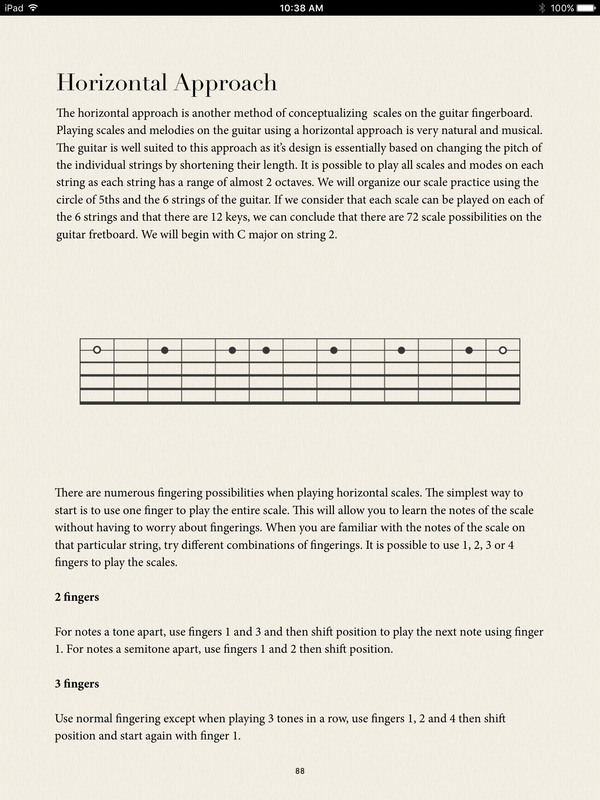 4 well laid out chapters covering chords, scales, arpeggios and improvisation. Easy navigation of chapters and pages using thumbnails. Covers fundamental topics in jazz harmony essential for improvisation and comping. 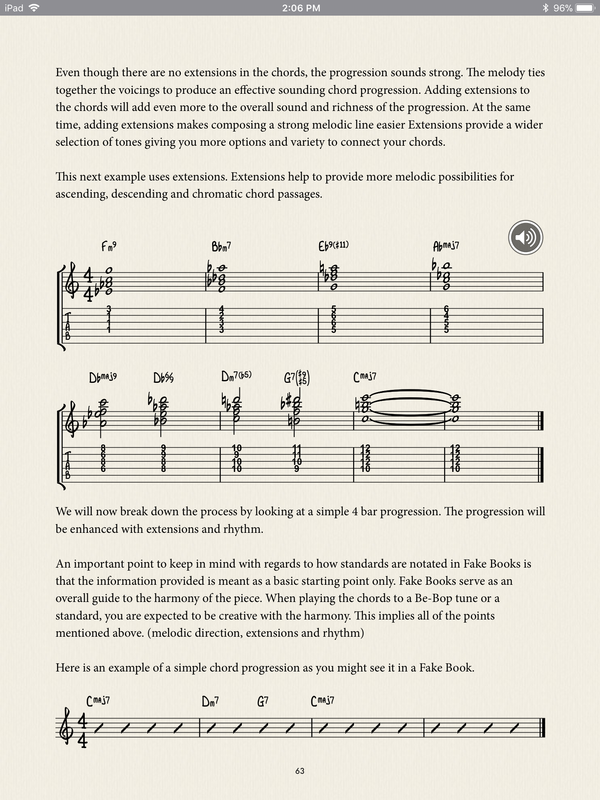 The new iBooks version is the perfect format for a Jazz guitar method. Everything is all together in one convenient place. No need to worry about using a CD player or loading mp3 tracks onto your computer. Play the tracks on the same page as the music, stop and start as you need and easily move forward and back in a track. Check out the free sample! If you'd like to get a feel for the book before you buy, download the free sample from iBooks. 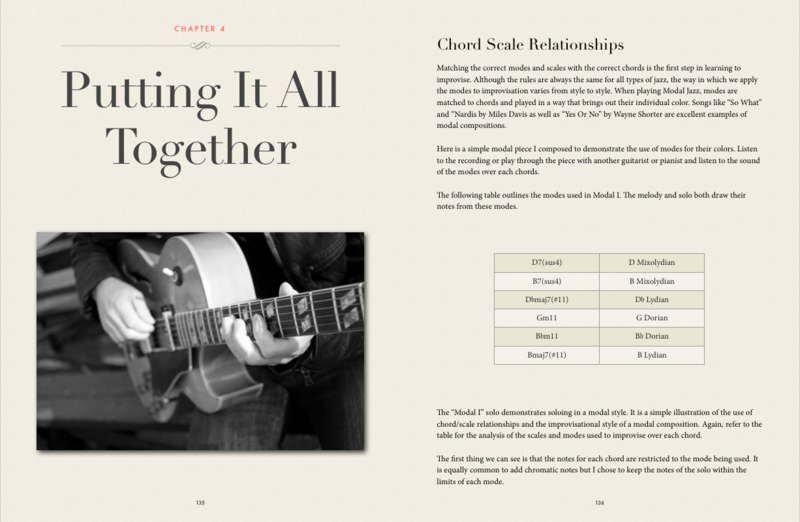 The sample iBook contains pages from all four chapters. Read through some of the lessons, try some of the exercises and listen to the recorded examples. There is enough material in the sample book to get you started.